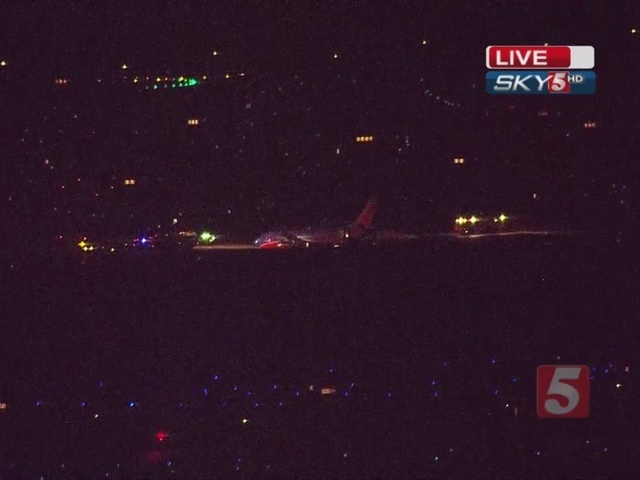 A Southwest commercial airliner went off the runway after landing at Nashville International Airport. Flight 31 from Houston was taxiing on runway T4 at 5:20 p.m. Tuesday when it somehow went into the ditch. Early reports indicated the plane skidded off the runway, but witnesses claimed the plane just drove right into the ditch. Officials with Southwest airlines said the plane "exited the taxiway shortly after arriving into Nashville as the airplane was approaching the arrival gate." Emergency crews from the Metropolitan Nashville Airport Authority responded immediately to the scene. Crews from the Nashville Fire Department and Metro Emergency Management Services also responded. An inflatable evacuation slide was deployed to help passengers exit from the aircraft. They were bused to the gate from the runway. Experience of a lifetime - our plane runs off runway at Nashville Airport! There were 133 passengers and 5 crew members on board, according to Southwest officials. "All I do know is we landed and we skidded off the road, and I looked at the wing and it looked like we would topple over. Then we stopped in the ditch," said passenger Reginald Smith Junior. Officials with the Nashville Fire Department said eight people were transported to TriStar Summit Medical Center in Hermitage with minor injuries. One of the passengers, Marina Kaplan, was injured during the evacuation process. "The problem is when I got to the end of the slide, there was someone in front of me, so I stopped at end of slide but person behind me came into me. That is when I was injured, getting hit from the person behind me on the slide," Kaplan said. Passengers said even though it wasn't a serious crash, it was still a very scary experience. "You realized you were on the runway; so you weren't going to die," said passenger, Sam Flener. "There was no smoke, but you are wondering what happened. Did we hit somebody? Did we hit a plane? A truck? What did we do? Then you get out and realize you are in a ditch." Investigators from the Federal Aviation Administration and National Transportation Safety Board were expected to respond to the scene to determine exactly what happened. 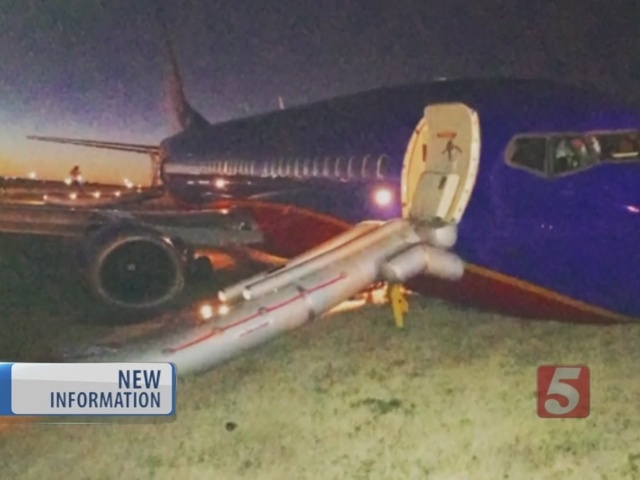 Southwest Airlines 31, a Boeing 737 aircraft, rolled off a taxiway into the grass and got stuck while taxiing to its gate at Nashville International Airport at 5:30 pm Central Time. Passengers left the aircraft via stairs and were bussed to the terminal. The flight just landed from Houston Hobby Airport. The FAA is investigating. To read Southwest Airlines' full statement click here .